Wondering how to build a website like Zillow? Searching for tips on how to create a real estate website or how to build a real estate app similar to Zillow, Rightmove, and Trulia? Look no further, as in this article you will learn everything you need to know to create real estate website that can compete with Zillow and other industry leaders. Tips on effective real estate website design, real estate application development, how to find the best real estate website development company for successful real estate website development and much more – all of this you will find below! The global real estate market is a vast field of opportunity that is constantly growing. According to Grand View Research, it must grow to over $4 billion US dollars in revenue by 2025. As the market grows, numerous opportunities for real estate software development arise. Taking this into account, the increasing demand for real estate website design companies and the startling success of such startups as Zillow, Trulia and Rightmove is not surprising. Entrepreneurs and businesses around the globe come up with new ideas for real estate app development. Many of them seek to imitate and create the next Zillow or even something better. If you are lucky to be one of them, and you’d like to learn how to create the next Amazon in the real estate market you have to come to the right place. 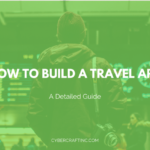 In this brief but detailed guide, you will discover the key steps you must take on this journey. But first, let’s briefly review the three most successful apps in the industry. Zillow is the world’s most popular real estate website and mobile app. According to DMR, It has over 188 million users who use the app on a monthly basis. Its story began in 2006 when Lloyd Frink and Rich Barton brought their idea of a real estate listing website to reality. Three years later, the first version of the mobile app came out. Over 80% of American homes were viewed on Zillow as of 2018. The app has a great design, speed, functionality and overall user experience which can largely explain its success. Founded in 2005, Trulia was Zillow’s main competitor until the latter acquired the startup in 2014 for $3.5 billion. The key goal of the app was the same as Zillow’s – to provide quick & easy access to real estate listings on your smartphone or desktop. The later successful acquisition by Zillow demonstrates that the startup has succeeded at accomplishing this goal. Out of these three, Rightmove is the oldest company. Started in 1999, the company has grown to be the largest real estate listing app and website in the United Kingdom. By 2008, the company had become one of the UK’s top 10 websites and a public company on the London Stock Exchange. To this day, Rightmove remains the leader among British real estate listing websites and apps. Now that we have reviewed the top real estate website design examples in this niche let’s talk in details about the key points you must take into account for successful mobile app development for real estate. Yes, that’s a lot of elements to keep an eye on. Moreover, this is not the full list, these are just the key elements you should take care of. Let’s review each of them in detail. This point should go without saying. Trulia and Zillow are some of the best real estate website design examples. Their design is clutter-free and responsive. The interface consists of a few simple elements. In other words, minimalism – leave only that which is really necessary and throw out the rest. Think of Apple. What is so special about this brand? What enters your mind when you hear the brand’s name? Most likely, minimalism and simplicity. This may be one of the factors responsible for Apple’s stunning success – its philosophy of minimalism. Therefore, you must strive to follow the same philosophy when it comes to real estate web design and the frontend of your app. Simplicity, minimalistic design, and functionality – this is what your app’s design must be all about. Speed is one of the key factors affecting a website’s bounce rate and overall success. The same is true if your goal is to successfully create real estate app. If your website’s and app’s speed is slow you will never succeed at getting users. Therefore, ensure that your users enjoy the maximum speed possible. This will require constant performance examination and optimization, using the right modules, and cleaning out the unnecessary content. When we say “large” we mean really large. As your user base grows, so should your database. The amount of information to be stored in your database is difficult to predict but one thing is sure – you will need a lot of space for data. So it makes sense to prepare a database of sufficient size well beforehand. Besides the actual size, another important thing to bear in mind is the efficiency of the database. It is a good idea to implement a few server solutions such as Postgress SQL and Elasticsearch. This list is just an example and might appear to be even longer in reality depending on the specific features you’d like to implement in your app. Searching and filtering are the two main functions your app will fulfill. Therefore, it is worth devoting much time to building the most efficient search & filtering algorithms. Easier said than done. Efficient means accurate and fast. With such a large database in place, this is not an easy task. First, you must determine the search parameters to include. Most likely, these are going to be the location, price, type, area, extras, etc. It might also be a good idea to integrate the map into the search for better functionality. You will have to find smart specialists who specialize in search algorithms and can design the right one for you. The map is a crucial element in successful real estate mobile app development. Without it, your app cannot exist. The map will enhance user experience and add better functionality. Adding the map will make it easier for users to find the properties they are searching for. There is a vast number of stats you can add to the map such as nearby shops, schools, restaurants, etc. With this being said, how do you actually go about finding all this data? Well, there are numerous sources that can be used, and the more indicator types you want to include, the more sources you will have to use. You will have to find the right sources yourself but just in case, here is a great list of statistics APIs by Programmable Web. The bottom line is, ensure that your map is functional, easy-to-use, and provides users with the info they need which comes from reliable sources. This is yet another essential element or even the most important element in the entire application. This is the reason people are going to be using your app – to find the right listings. You will have to develop a detailed listing profile with photos, prices, descriptions, etc. You will also need to create a detailed profile template for users. In addition, you will have to integrate the “saved” feature – saved listings, saved profiles of Realtors, saved searches, and so on. This is obvious indeed. You will have to develop an easy registration system for users. It is a good idea to start with a welcome sign-up screen and onboarding tour for new users. This welcome tour will briefly and clearly describe the app to users and help them register. It goes without saying that you will have to integrate registration via Facebook, Google+, LinkedIn, etc. It is important to decide what exact data you are going to request from users i.e. phone numbers, addresses, etc. Bear in mind that many users are concerned about the security of their personal data (which they should be) so requesting too much information may decrease your sign-up rate. Thus it makes sense to collect only that information that is really necessary – the info which the app cannot function without. Besides collecting the necessary users’ data it is even more important to protect it and demonstrate to your users that all their personal data is safe. Therefore, devote as much time as necessary to building a reliable security system for your app. Ensure that the development company which builds your website and app can guarantee absolute security for users. This point is so important that we have to repeat – security is everything. One successful hacker attack or data leak can ruin your reputation and business forever. The examples which confirm this statement is true are numerous, and we’re not going to mention specific examples, you must know them better than we do (Hint: Check the top 20 companies in Silicon Valley and see how many of them suffered hacker attacks and what the consequences were). Most likely, the more alert types you include, the more times users will visit the app which will increase the average amount of time a user spends on the app, and other important indicators. However, it is important to ensure that users don’t get too many notifications. Otherwise, you are going to have a proportionally opposite effect from notifications. The best option is to let users decide themselves what types of notifications they wish to receive. In fact, it is the only option if you don’t want users to start hating your app and your company. 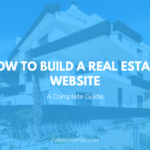 Now that we have reviewed the crucial elements your future product must include we can figure out how much time and money you will need to convert your idea to build your own real estate website into a reality. Let’s talk about timing first. One thing is clear right away – you will need a lot of time and patience (if you want to create a great product, of course). Developing a quality product includes much more phases besides the development phase itself. Remember about preparation, planning, developing, testing, then fixing the product and testing again. All of this takes time and more importantly, nerves. With this being said, let us try to estimate specific numbers. It is important that before you start the actual development you know exactly what you are going to build – every little detail. All of this must be clearly described and explained in your technical specification. First, conducting a feasibility analysis and creating a technical specification to handle to your future developer may take a week or two. Next, you must find a development company which will build your product. How to find one we will explain below. Negotiations and signing an agreement with your chosen real estate web developer may take another week or two. Thus we end up with 2-4 weeks before development even starts. Setting up the development process – up to 24 hours. Integrating the maps – at least 160 hours. Sign-up and authorization along with the onboarding tour – at least 160 hours as well. The saving functions – 100 hours or more. User and property profiles together – at least 160 hours. Searching and filtering functions – 240 hours. Push notifications – 40 hours. API tests – at least 40 hours. Design – at least 120 hours. These are just close estimates and may not resemble the real amount of time which the project will require. Also, these are just some of the key elements to be developed, there are many other tasks which must be done and which will require additional time and costs as well. Having conducted approximate estimates of the time required, let us talk about another important aspect – money. What Is the Minimum Budget Required? A project of this kind will require many hours of work. Therefore, the best option, in this case, is outstaffing which provides direct access to a dedicated development team. How much such a project will cost depends on the location of your real estate website developers. A dedicated team in the US will undoubtedly cost much more than in Eastern Europe or the Philippines, for example. If we assume that one dedicated developer in the US may cost at least $10,000 a month, and a team of five developers $40,000 – $50,000, then it is possible to assume that this project will cost at least $150,000 – $200,000 if employing a dedicated team with the help of real estate web design companies in the USA. An identical team of the same proficiency and qualification in Ukraine, for example, may cost at least $20,000 – $25,000 a month, i.e. 50% times less than in America. The whole project may then cost around $75,000 – $100,000 if working with a dedicated team from Ukraine. Once again, we must emphasize – these are just hypothetical calculations. The real cost may significantly differ due to a variety of factors. The purpose of this example is just to give you a basic idea of the minimal costs required for implementing your idea. Once you have a basic understanding of the key aspects of your future project, the timing and costs required, you can proceed to the next important step – finding the right people. How to Find the Right Team for Your Idea? Finding the team will either break your project or make it successful. So it makes sense to take your time and approach the selection process very carefully to find the best real estate website design companies. As we have already said, you will need a dedicated development for this project. You must decide if you are going to work with a local team or hire developers from abroad. The latter option will help you cut costs without sacrificing quality and taking on additional risks (if done carefully, of course). If you plan to work with an offshore dedicated team, ensure that the timezone gap does not create any problems. Once you know what exact time zone you are comfortable with, proceed to find and select the right team in that region. Focus only on those companies which have a proven track record. Screen only those which have completed similar projects of the same or even bigger scope in the past. Also, ensure their skill set matches your tech stack. 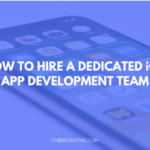 Once you’ve found a few worthy candidates, conduct the necessary negotiations and select the real estate app development company which can offer you the best terms and price/quality ratio. Talking about suitable candidacies, we can’t help mentioning Cybercraft – a trusted software development company from Ukraine which provides remote dedicated development teams to clients around the globe. Their teams are located in a comfortable time zone for North American and European clients (and pretty much all clients from almost all time zones). With Cybercraft, you get access to qualified IT professionals with the needed skills while enjoying cost savings of up to 60%. The real estate industry keeps growing and presents an abundance of opportunities for tech entrepreneurs. It is still possible to build the next Zillow or Trulia and successfully compete with them at the global or local level. Such a project will require diligent planning, sound strategy, patience, and sufficient budget. Your product must include numerous features such as search & filter, property & user profiles, map integration, many APIs, push notifications, and many more. Another important aspect you must keep your eye on is security. Having a clear vision and technical plan of how to build a website like Zillow, you must find a qualified dedicated team you can trust and rely on. With a great team, you will manage to succeed on this long and not easy journey of building the next Zillow. Good luck!